The unwritten yet ever intelligible and interesting annals of the commerce of Great Britain, rich as they are in evidences of the ability and vigour which have been chief factors in establishing the nationÂ’s mercantile greatness, present to our notice few such instances of uninterrupted trade progress and expansion as that incorporated in the history of the firm of Messrs. Arthur & Company, Limited, of Glasgow, Leeds, and Londonderry. For many years the records of Scottish commercial advancement have been a continuous chronicle of opportunities not alone grasped, but created and improved by the sturdy enterprise and quick perception of the countryÂ’s merchants ; and during a great portion of the last half century the eminent house here under notice has been a landmark of ever-augmenting prominence in the wide area of mercantile influence instituted and exercised by the business men of Glasgow conjointly with their trade associates in all parts of the British Isles. The house has worthily earned its world-wide fame. 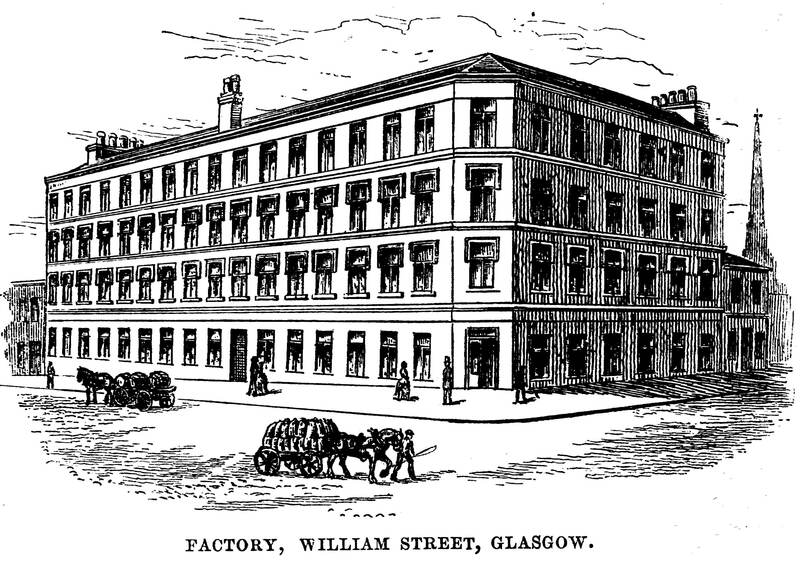 ARTHUR AND COMPANY, LIMITED, GLASGOW. Its principles have been sound, its methods just, its policy one of spirit, yet prudent withal. In everything it has been a model among our national commercial institutions, and in its position at the present day, almost unapproached by any contemporary, it stands as a unique memorial to the undoubted genius of its founder, the late Mr. James Arthur. The whole business reflects in its salient characteristics the nature of the man to whom its existence is due, and a brief survey of his rise and progress as a merchant prince of Glasgow is the most fitting prelude to any remarks we may be able to make concerning this firm. Mr. James Arthur was born near Paisley in 1819, coming of a good and respected family, to whose intelligence he owed one of his earliest advantages Â— a sound and thorough education. The commercial faculty was strongly developed in him from the very first, and in 1837, when only eighteen years of age, he opened in business for himself as a retail draper, in High Street, Paisley. There he laid the nucleus of the vast system of trade operations of which he subsequently became the guiding spirit, and there prosperity attended his efforts until 1849, when he personally left Paisley (leaving a partner in control of the original business) and assisted in the foundation of the firm of Messrs. Arthur & Fraser, whose first warehouse was in Buchanan Street. progress of his house was real, and that the foundation of his prosperity was substance, not shadow. He vindicated, in short, the Â“new schoolÂ” of mercantile advancementÂ—rapidity of action and vigorous purpose ; and from that day forward his firm had a recognised status, which has since altered only to become enhanced in eminence. Messrs. Arthur & Co., Limited, stand to-day at the head of the Scottish trade in textile manufactures and all their allied departments, and there is no house in the world whose commercial relations and connections are of stronger establishment or more widely extended influence. 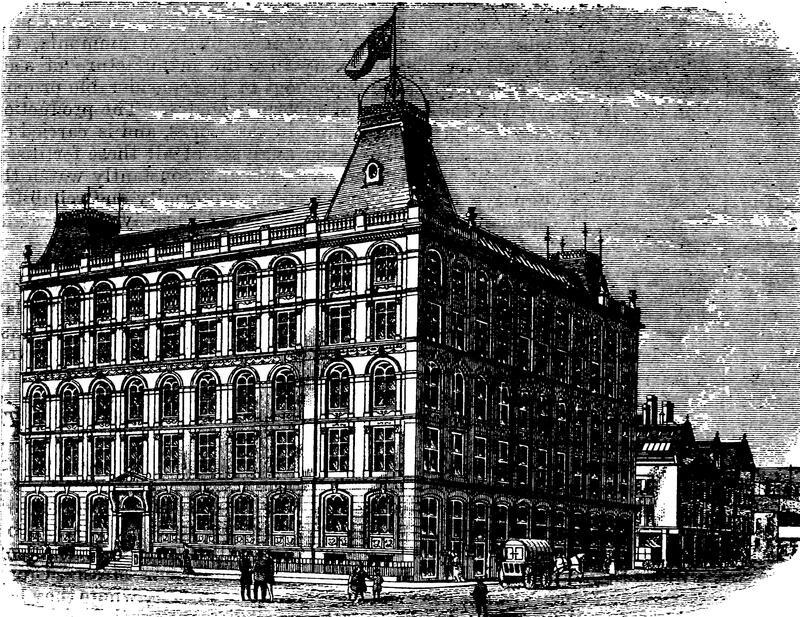 It is quite beyond the capacity of this necessarily concise sketch to afford even the vaguest description of Messrs. ArthurÂ’s warehouse in Queen Street, Glasgow, beyond the fact that, structurally, it is one of the Â“lionsÂ” of the city, and commercially, an emporium of which the entire community is and should be proud. There is nothing to be said in these brief pages beyond what may readily be imagined by one who can conceive, beneath the one great expanse of roof, an aggregation of no less than fifty trade departments, each of which is in itself a business, the rearing of whose counterpart has In hundreds of instances been the work of a lifetime. Messrs. Arthur have two great factories in Great Britain, one in William Street, Glasgow, and the other at Leeds. They have a third factory, also, at Londonderry, and their commercial interests are represented in every trade centre throughout the world. Their trading operations extend over the British possessions, and there are few places where the name and principles of their house are not known and esteemed. ARTHUR AND COMPANY, LIMITED, FACTORY, PARK SQUARE, LEEDS. Ten years ago the business was converted into a limited liability company of a private character, the subscribed capital being £1,200,000, of which £1,000,000 was paid up. 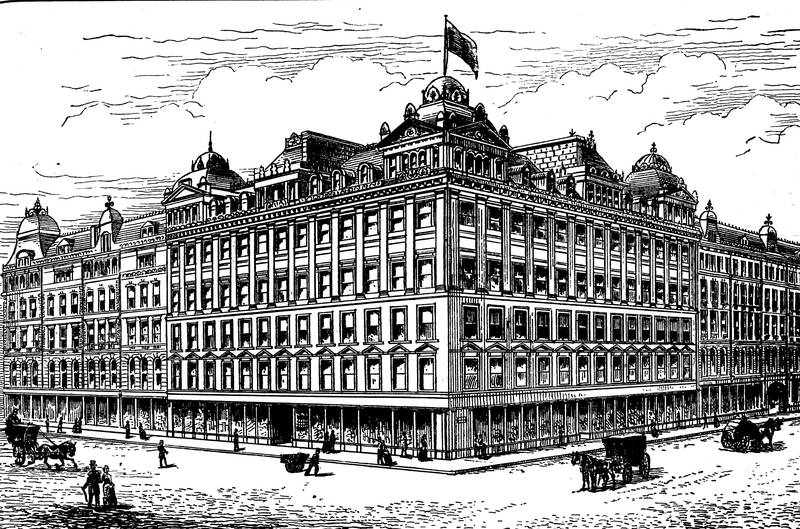 The directorate of the Company is composed entirely of gentlemen whose business association has always been with the firm, and its personnel at present includes Messrs. M. Arthur, W. Ogilvie, J. R. Kay, T. G. Arthur, J. Arthur, and Arthur Kay. The founder and sometime chief of the house is missing now from his accustomed post at the head of the Directorate. Mr. James Arthur died in June, 1885, closing a life of constant and untiring activity at a period in which he had reached the zenith of his mercantile renown. Not alone as a successful and honourable merchant will his name live after him, but the man himself will survive in the memories of those who knew him as one who snatched many an tour from the passing years of a business career to devote alike to the public good and to the welfare of those who were proud to call him friend. He has left his great business in trusty and capable hands Â— the hands of ten qualified by every resource of experience and capacity to perpetuate the success and renown of the house. And for himself, to the one who is privileged to stand in the midst of the Arthur warehouse in Queen Street, there is need only to repeat the substance of the inscription in St. PaulÂ’s to the memory of Wren : Â“If you seek his monument look around youÂ”.